This time of the year is all about remembrance of things past, being thankful for what we have, and looking forward to what comes next. It is also about celebrating (with) friends and family. What better gifts to give than those which will help to make celebrations more fun and festive? In today’s Holiday Gift Guide, we have a few items which will help do just that. Bubbles and fizz make any drink, alcoholic or not, more celebratory. Making your own fizzy drink is easy with the right gadgets. The Twist ‘n Sparkle is such a gadget. Just insert the carbonating wand into a filled bottle, press, and violà, instant carbonation. For more precise control over the level of carbonation, there are no better machines than the onese from SodaStream. Our favorite is the SodaStream Penguin . The Penguin is the only fizzy drink-maker on the market that uses glass carafes. While plastic bottles are practical for everyday use, the holiday table requires something a bit more elegant. The glass SodaStream carafes will look right at home next to the crystal champagne glasses. Opening a good bottle of wine should be a ritual, and having the proper tools is just as important as pouring it into the right glass. The best cork-puller we have ever used is the Screwpull vertical lever . It works great on both natural and synthetic corks. The action is smooth and every pull is clean. With this Screwpull, the days of struggling with the cork is over. To keep an open bottle of white wine properly chilled, most will keep the bottle in a bucket of ice water. The Corkcicle will do the same thing from the inside out. This innovative solution lets you lose the ice bucket, the watery mess, and it will do it without taking up any room on the table. Now how cool is that??? 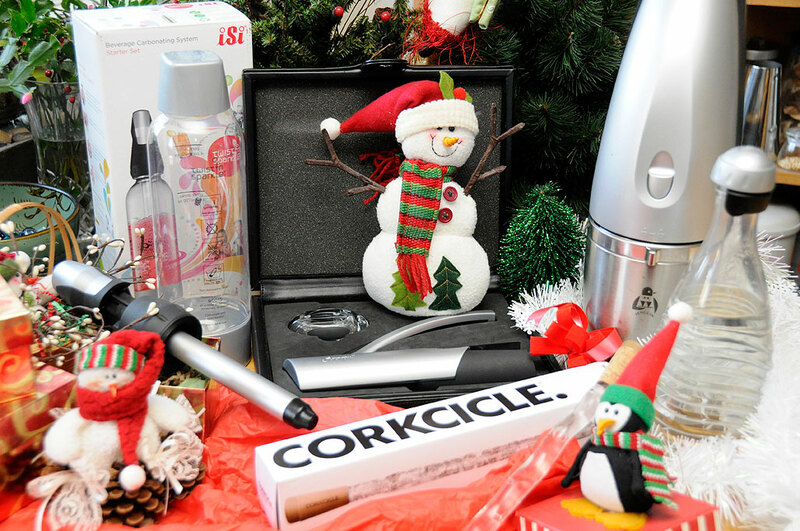 All you have to do is freeze the reusable Corkcicle and insert it into the wine bottle after it has been opened. 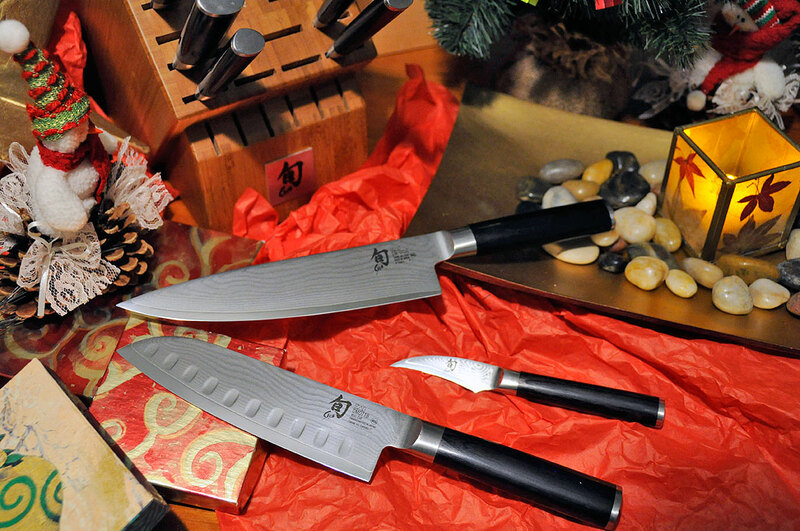 Another source of quality, but less expensive, knives is Ginsu. Yes, the same people who brought us those crazy commercials. Ginsu has come a long way since those days. They now offer many different lines of quality cutlery. Their Chikara line is a good value for the money, but their top quality knives are those in the Hanaita line. The best prices for both can be found at Everything Kitchens (Psst… Lowest price Guarantee, No Sales Tax, FREE SHIPPING!). So go ahead, give a gift that will help make celebrating festive, fun, and enjoyable. What is great about these gifts is that they will be enjoyed long after the season is over. Have a great Holiday!